Today’s lectionary scripture is from the book of Ruth. At first glance it does not seem particularly relevant to Veterans’ Day. However, in this scripture we discover a truth that veterans likely know well. You might remember that scripture from a few weeks back when we looked at immigrants in the Bible. In the foreign land of Moab, Naomi bears two sons who later marry. Sadly, Naomi’s husband and sons die, leaving Naomi with her two daughters-in-law. A famine hits Moab and so Naomi decides to return to Israel, whose land is fertile again. Even though leaving Moab means abandoning the future of marrying again in her native land. In Israel, Ruth gleans the left-over crops from her neighbors. Again, you may recall the law in Israel that calls for farmers to leave a portion of their crops to the “widows, orphans and resident aliens (immigrants)” may glean the leftovers for food. Gleaning the left-overs is no easy life – worse than living paycheck to paycheck. There is a way out of this life, however. but if Ruth marries, her husband will care for her. If Ruth marries a next-to-kin of Naomi, then both women will be cared for. Obviously, this was before the time when women could own land and sustain themselves. Our scripture picks up when Naomi tells Ruth to go on a risky trip to secure peace for both of them. There are some code words in this scripture that are important to know. In the Bible, when a woman “knows” a man, it implies a sexual encounter. Let’s listen for how Ruth and Naomi go about securing peace for themselves. Which would bring security to both women. Ruth risks her reputation and her livelihood to bring lasting security to her and Naomi. But protects her reputation, makes sure she is adequately fed, and discusses the marriage with the elders. Ruth risks her reputation and livelihood, not to mention her body and emotions, to bring lasting security and peace. Boaz not only fulfills his duty, but respects her and takes her as his wife. A lineage that brings to life King David and eventually Joseph, the foster father for Jesus, the Messiah. On this Veterans’ Day we honor the risks women and men who have served in the armed forces have made. Their physical bodies, as well as their emotional and spiritual health. Too many veterans return home with not only severe physical injuries, but deep emotional trauma. After witnessing the violence and cruelty of war, emotional trauma is a rather human response. The mere act of having risked everything can weigh on the spirit. We have a number of veterans with us today. Would those who have taken great risk to work for peace please stand? One veteran church member could not stand today. Al Rhodes was a 100-year-old veteran who served in WWII. He was a member of this church until last winter when he died in his home not far from here. My visits with him were mostly joyful, as he shared about his wife and showed me pictures of good times. He had a stack of church newsletters and bulletins. He delighted in hearing what was going on. One special visit we were talking about his time in the service. For awhile his eyes were glassed over with an image of the past. “Why does it keep going? I thought when I came home from the war that it would be peace. One of the most profound ways we can honor our veterans is by working relentlessly for peace. Working for peace is profoundly risky business. Most of us will not risk our physical and mental health for peace in the way many courageous veterans have. Most of us will not need to risk in the way Ruth had to in Ancient Israel. For peace comes by many means. But to last, peace requires another element. When we truly understand, we can cease to fight and harm our neighbors. When we understand one another, we can be reconciled into one body, one people. Building understanding and lasting peace calls us to risk in a unique and spiritual way. First, to build understanding, we must risk our pride and our status. For in building understanding we may discover we were wrong. AND that they have a valid view. In seeking understanding, I may learn new information that changes my perspective. In seeking understanding, I may find I am wrong. I need to risk my pride and accept that I could be wrong. Such understanding opens the way to reconciliation and peace. Second, to build understanding, we must also risk being emotionally uncomfortable. For in building understanding we must face conflict and disagreement. No understanding can be had if opposites stay in their own corners, refusing to talk. There is this false belief that peace is not having any struggle or challenges. Platitudes and niceties are not real peace. People are different. There will always be disagreements and challenges. 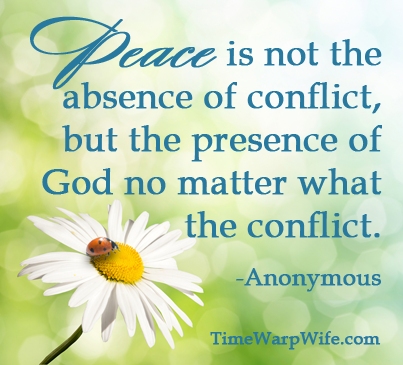 Because lasting peace is from the holy within the conflict. We call Jesus the Prince of Peace because it is the Divine that brings us lasting peace. It is grounding ourselves in the holy that we can work through conflict and find real peace. We are better able to see how connected we are. The disagreements have less power and peace becomes possible. And understanding and reconciliation becomes possible. 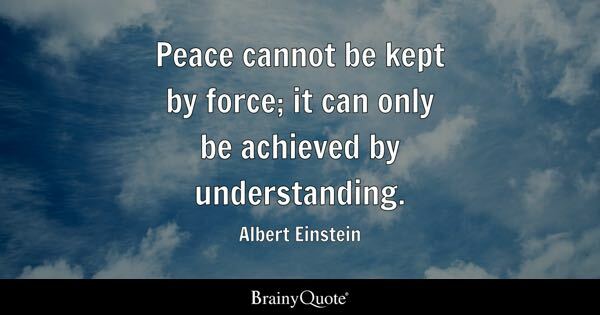 And doing so builds understanding and lasting peace. There is no secret to how to ground ourselves in the holy in the quest for peace. 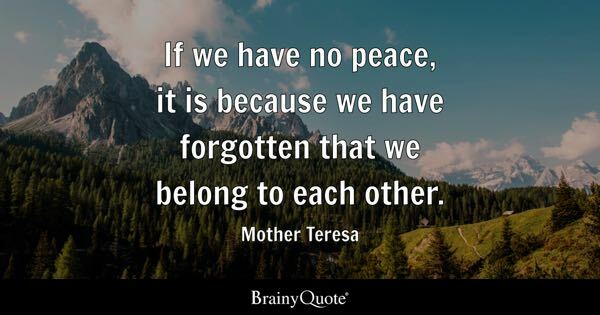 But practicing peace benefits our families, our workplaces, and our communities. If we cannot practice peace locally, we surely will not have peace globally. The spirit moves and expands to reach the national and international stage. Are we willing to risk for peace? Are we willing to risk being wrong? Are we willing to risk being uncomfortable, facing differences and conflict? Are we willing to risk our time and energy and resources to pursue regular spiritual practices? May we be so willing. it is the peace and love of Jesus Christ, the Risen Savior who showed us the way to lasting peace. The Prince of Peace showed us a way of compassion – embracing all people, calling each one beloved. May we be willing to take the risk and follow his call. May we gather hope from the courage of Ruth, who risked so much for peace and security. May we gather inspiration from the courage of veterans who have risked so much. In our world, in our community, in our families, in our hearts. Amen.